I have been a guitar player for about 41 years, which is most of my life. 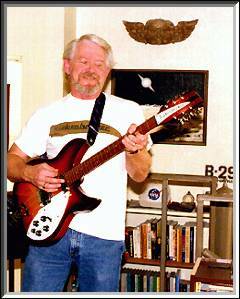 I had a rock band when I was young, in the early '60s, and played mostly Beatle and Byrds music, which are still my favorite tunes. I write some of my own music and play much of it on my Yamaha keyboard MIDI interface. I have always had 12 string guitars to play, but I just acquired my Ric 330-12 this year.